Who: Aidan Moher – writer, photographer, and blogger behind A Dribble of Ink. We’ve read Aidan’s blog since we started The Book Smugglers back in 2008 and have been big fans. Please give it up for Aidan, folks! First off, I’d like to thank Ana and Thea, the loveable Book Smugglers, not only for hosting me again, but for hosting one of the publishing world’s best events, year-after-year. Smugglivus really is a wonder. Every year, books come and go, read by some, forgotten by others. To celebrate the end of one year, and the beginning of the next, I’ve gathered together a handful of books from the past few years that you should be sure not to miss in 2013. Every so often, a novel comes along that knocks me off my feet, ties me up and leaves me bound, unable to escape until I turn its final page. Even after that final page is turned though, these novels live in my memory, constantly ekeing their way into my thoughts and colouring my discussion of other, inferior novels. Morgenstern seems less to be telling the story than revealing it, pulling back the layers piece-by-piece to immerse the reader in the lives of the myriad characters who help form Celia and Marco’s story. This effect is bouyed by wonderful prose from Morgenstern, so rich and evocative that it’s easy to lose yourself amongst the tents of Le Cirque des Rêves, as enraptured by wonder as the circus-goers in the novel. The Night Circus is a classic novel that will sit on the highest shelf of my bookshelf, right next to The Hobbit and The Shadow of the Wind. There’s magic in this novel and it deserves to be read by anyone wanting to be reminded that there is more to life than meets the eye. Leading a wave of Eastern-inspired Fantasy (Throne of the Crescent Moon by Saladin Ahmed, God’s War and Infidel by Kameron Hurley, Range of Ghosts by Elizabeth Bear, for example), Jemisin has styled her world on (but not be constrained by) ancient Egypt, a civilization and era of history that has long fascinated me. 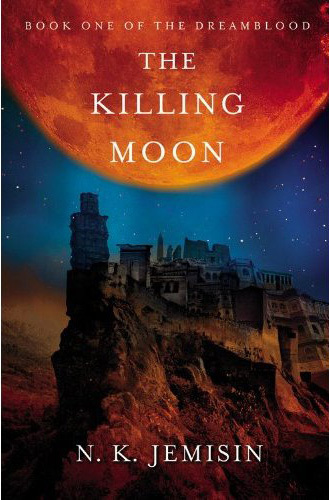 In an author’s note at the beginning of the novel, Jemisin explains that though The Killing Moon was inspired by ancient Egypt, it is not a direct analogue, and should be treated as more of an homage, than a tightly-adhering recreation. Jemisin seems to project, through her world and her characters, a pervasive and underlying belief in the notion that judgement can only come from within. There’s also a strong undercurrent of communism versus democracy, or close mindedness versus openness, or extremism versus tolerance, that bleeds through. Even then Jemisin seems to remain agnostic, pointing out the flaws in each and letting her characters choose for themselves the paths to walk. This is one hell of an exciting book. I hate to use the term tour de force because it sounds like I’m writing for some terrible literary newsletter who can only recycle superlatives from movie posters, but… it’s a tour de force. From the opening moments the novel dazzles with intricate world building, deep and vibrant characters, and a fast paced, high stakes plot that left me bleary eyed from lack of sleep more than once. His praise mirrored my own opinions almost exactly. When Jemisin first arrived on the scene with The Hundred Thousand Kingdoms, her beautiful and provoking first novel, the divisive opinions were nearly endless. Some critics adored it (rightly so, in this blogger’s opinion), while others were less warm. There is no such division with The Killing Moon. The first in a two volume set (the concluding volume, The Shadowed Sun, was published a month after The Killing Moon), The Killing Moon is, as Ladon declared, a tour-de-force of Fantasy awesomeness. The Killing Moon is strengthened by a unique, ocean-deep setting, magic and culture that call back to the sensawunda that defines the best Sword & Sorcery of the ’30s, and characters with true motivation. Under Heaven, Kay’s most recent novel, is one of my favourite novels of the last five years, and continues to be a huge inspiration to me as a writer. To say I’m looking forward to River of Stars, the spiritual successor to Under Heaven, would be a severe understatement. Kay always has such a wonderful way of thinking about his storytelling, of describing it lyrically, that I fall in love with his novels before they’re even published. Kay described River of Stars as a force that “divides a mortal from his immortal beloved.” I’m such a sucker for forbidden love story, and this seems to play right into Kay’s strength with relationships, melancholy and the longing soul. 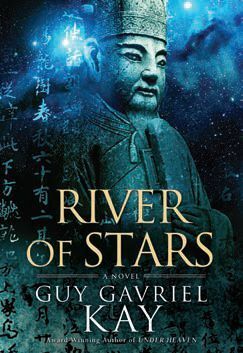 There are few 2013 novels that I looked forward to as eagerly as River of Stars. I haven’t read any of these books yet, but they have been on my tbr pile for some time (in Kay’s case, his Under Heaven book…) I love A Dribble of Ink so of course I trust Aidan’s opinion. I really should get reading! I Do wonder if River of Stars is best appreciated having read Under Heaven first, even if its only a spiritual successor. 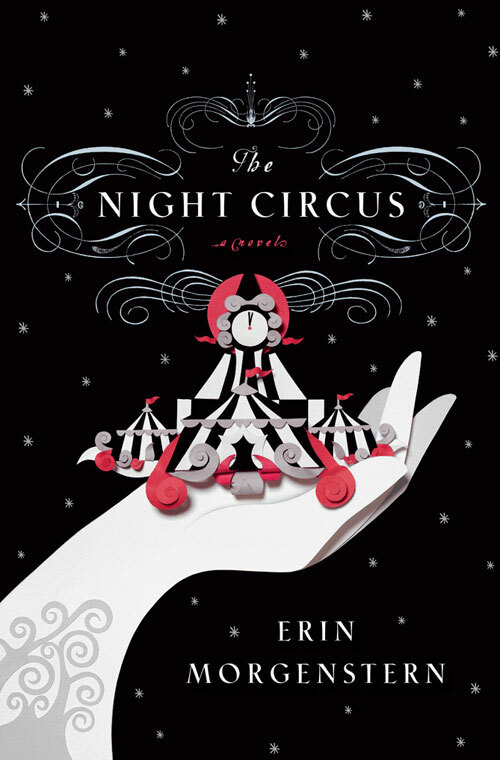 The Night Circus is a dream of a novel. I am kicking myself that I waited a whole year to read it and missed all the initial gushing that accompanied its release. It swept me up and captivated my imagination. I want to visit that circus so badly.